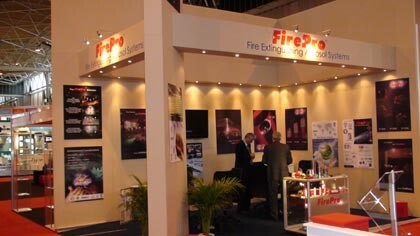 FirePro participated in International Firex 2009 at the National Exhibition Centre (NEC) - Birmingham, 11-14 May 2009. 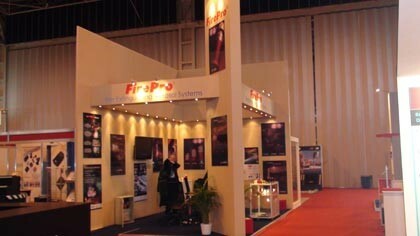 The exhibition of the range of products of FirePro - the leading brand in the condensed aerosol fire extinguishing technology - enhanced further people's awareness of that this technology is rapidly growing into the major players in fire protection. It is no coincidence that decision-makers in the Fire-fighting industry who visited our stand expressed their commitment to consider and apply the FirePro Condensed Aerosol fire fighting technology and products for their respective projects. On our eye-catching stand, designed and built for the Firex Expo we had the chance to also inform visitors about the competitive advantages of our systems for a tremendous range of applications. A lot of new contacts and business leads were made. Generally there is a consensus that the FirePro brand is entrenching itself in the position of brand-leader and is gaining momentum with the future looking good in terms of sales volumes. 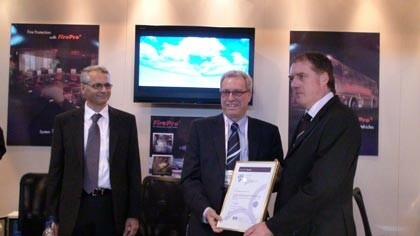 During the Expo, the official award to FirePro Systems by the British Standards Institute (BSI) of the Kitemark Licence took place on Tuesday 12th May - Another certificate being added to our already large list of Certificates, Listings, Licences and Approvals. The Kitemark® is one of the world's premier symbols of trust, integrity and quality. Being Kite-marked, products or services is a reassurance to customers and specifiers that they have satisfied the most rigorous of quality processes. All FirePro models are now certified under the BSI Kitemark certification scheme and will bear the Kite-mark logo.